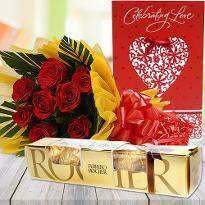 There’s no better feeling than giving your special one a memorable gift on one of the most romantic days of the year. 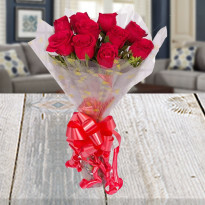 At Winni, we’re here to help you deliver a spectacular valentines day flowers. 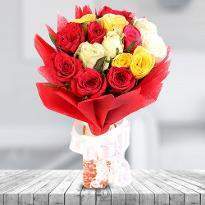 Send Valentine's day flowers from Winni and make your special one' day brighter. 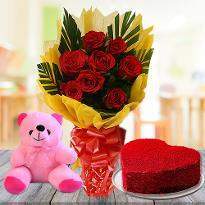 we ensure you that the online Valentine's flowers will arrive fresh and lovely. 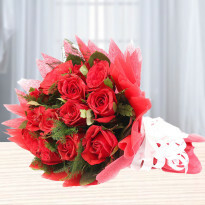 So, order and send Valentine's day flowers online in Delhi. 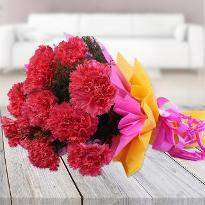 Flowers are one of the best forms of gifts known to humanity and for residents of Delhi more so. 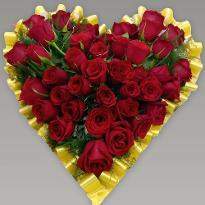 We offer our help with Valentine’s day flowers to Delhi. It is so hard to hide your enthusiasm with Valentine’s day just around the corner. 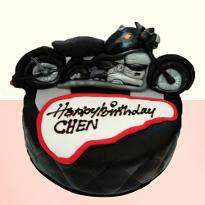 Ideas start streaming into one’s mind about what all needs to be done. You make a list and finish your job one by one. 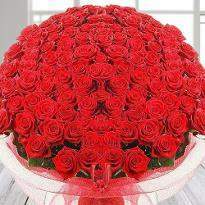 At the last minute, you realize that you have forgotten beautiful Valentine flowers. 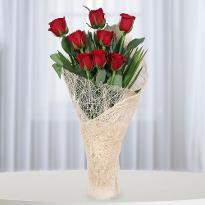 No need to worry, Valentine’s day flowers to Delhi can be ordered through us and we deliver on time. 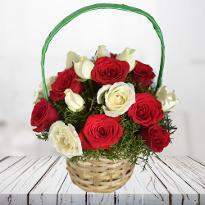 We understand the significance of flowers in the blossoming of love and ensure an elegant collection of online Valentine flowers on our website coupled with the same beautiful day and midnight delivery arrangement in Delhi. Everybody complains about the traffic in Delhi. And in such circumstances one it right to doubt if their delivery will reach on time. Let us clear your doubt. 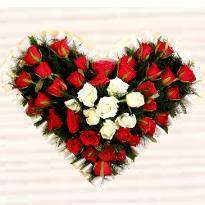 We have partnerships with the florist in all possible areas of Delhi, so no matter where you live we will deliver Valentine flowers on time. 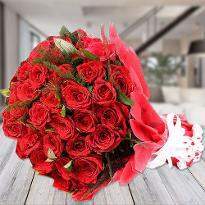 Send Valentine's day flowers to Delhi and win the heart of your partner. 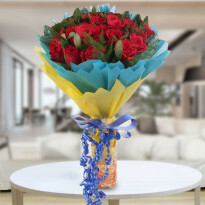 Along with valentine’s day flowers, we also deal in flowers for every occasion. 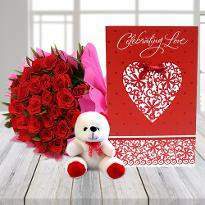 Valentine Day is celebrated on the 14th of Feb. On this day, every couple expresses their love and affection to the one who is special in their lives. 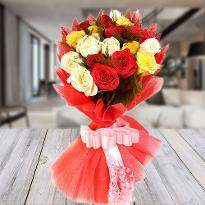 If you are also planning to express your unsaid feelings then you can do so with gorgeous flowers. 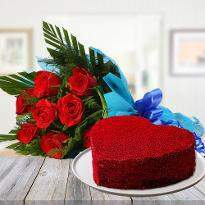 Since no festival or occasion is complete without the exchanging of flowers, the same goes for this day of romance too. No matter how much you express your love with words or actions, beautiful flowers can say even your unsaid emotions perfectly. 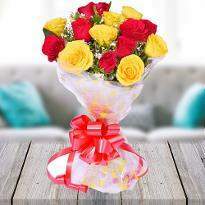 So, let the madness of love blossom all around as it's the Valentine day, and make it special by showing your unconditional love with unique Valentine’s Day flowers in Delhi from Winni. 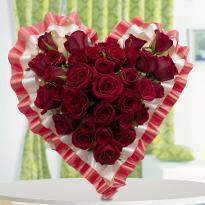 Here we provide a wide variety of flowers in our Valentine flowers section. We have carefully handpicked flowers so that if you want to express your feelings to your beloved one, you do it in the best way. 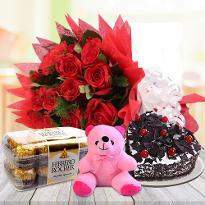 You can find delicious chocolates, cute soft toys, freshly baked cakes and much more gift items for Valentine's day and accompany with the bouquet of Valentine flowers. 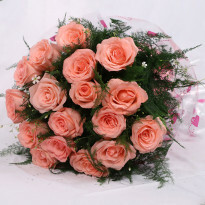 You can order and send Valentine flowers to Delhi to your lover residing there. 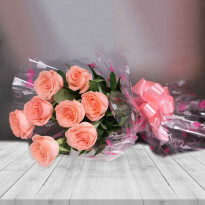 Now you don’t have to worry about variety and prices as you can find a broad variety of flowers at the best price on our website. 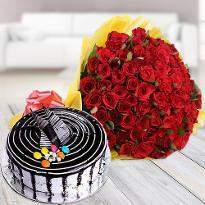 So, place your order and get your surprise delivered at the doorstep of your special one using the online Valentine flowers delivery in Delhi offered by us and make the Valentine Day a memorable one.